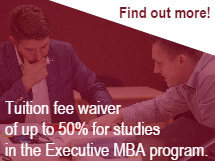 Our MBA Marketing concentration is the only program of its kind in Latvia, so if marketing and communications are your area, this program is your program. Having a specialization in marketing means that you will be able to lead the whole process of marketing – plan, research, strategy, implementation, and monitoring. More importantly, you are ready to roll up your sleeves and work because you get real-world exposure and practice throughout the course in case studies, discussion with peers and team projects that force you to provide value in a measurable way. We are proud to have marketing specialists teaching and sharing their professional insights. To claim this concentration you must take at least 3 marketing electives and to combine them with 2 other electives. NB! 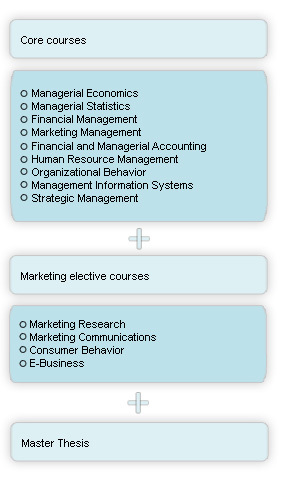 students are required to take at least 3 Marketing electives and to combine it with 3 other electives in order to complete this specialization (in this case it is also possible to take all 5 available electives and add 1 other elective course ).